What do we mean by “Moments of Truth” in marketing? It was in the year 1981 that the Scandinavian Airlines put forward suggestions regarding a few modifications in the existing customer service philosophy that actually came to be known as the Moments of Truth. Modern marketers should leave no stone unturned to acquaint themselves with this particular concept (i.e. Moments of Truth). The “moments” here entail particular attention to the emotional needs of customers while carrying out customer service interactions. The whole idea was based on the premise of customer loyalty. It was believed that a positive customer interaction (with due focus on their emotions) would only lead to improved brand loyalty. Now, the Zero Moment of Truth is the amalgamation of all the decision making moments experienced by the buyer from the time they see a product till the time they experience their first stimulus (i.e. 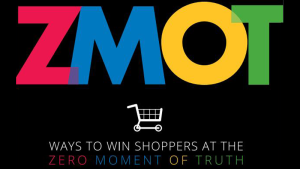 The First Moment of Truth), when he sees the product on the shelf and end up buying the same.ZMOT has much to do with impulsive purchase and the SEO efforts of businesses should be geared towards creating optimal impact on the customers’ impulses so that they end up buying the product. The “Zero Moment of Truth” – strictly speaking is Google’s creation. It was in 2011 that Google conceived it while studying the dominant changes that defined customer journey. The traditional or direct ways of marketing are no longer as effectual as they were before. Television and newspaper no longer remained the primary source of information for customers. The study itself reflected that 50% of the modern customers now utilize the search engine to conduct background research of the products they want to buy. In short, it is the internet which shaped crucial purchasing decisions in a major way. Post 2011, there has been a marked rise in the number of people using smartphones in order to not only conduct research on the background of products but also to buy them. Follow-up studies conducted years later showed that users have already started utilizing their smartphones for conducting research on products even earlier. It had also been discovered that there are more touch points to a purchase now. Keeping the aforementioned points in view, it can only be said that responsive design will go on to secure further traction in the near future. Google, in 2015, had already spelt out clearly (Mobilegeddon update) that businesses that promise a hassle-free online experience to users (meaning their websites open online easily on mobile devices) are going to secure better visibility online than sites that are not optimized for mobile devices.